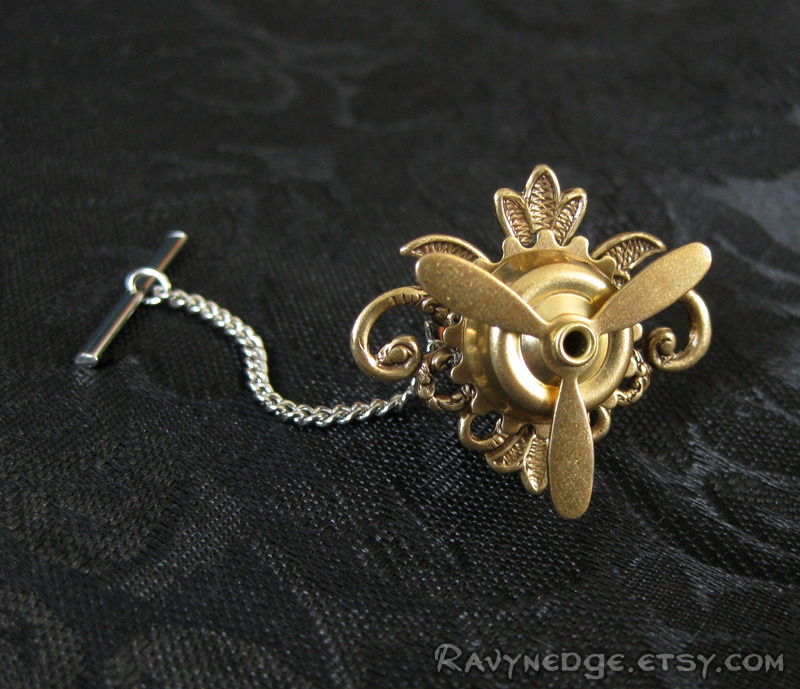 Flight Path Tie Tack - Brass Steampunk Propeller Tie Pin by RavynEdge. 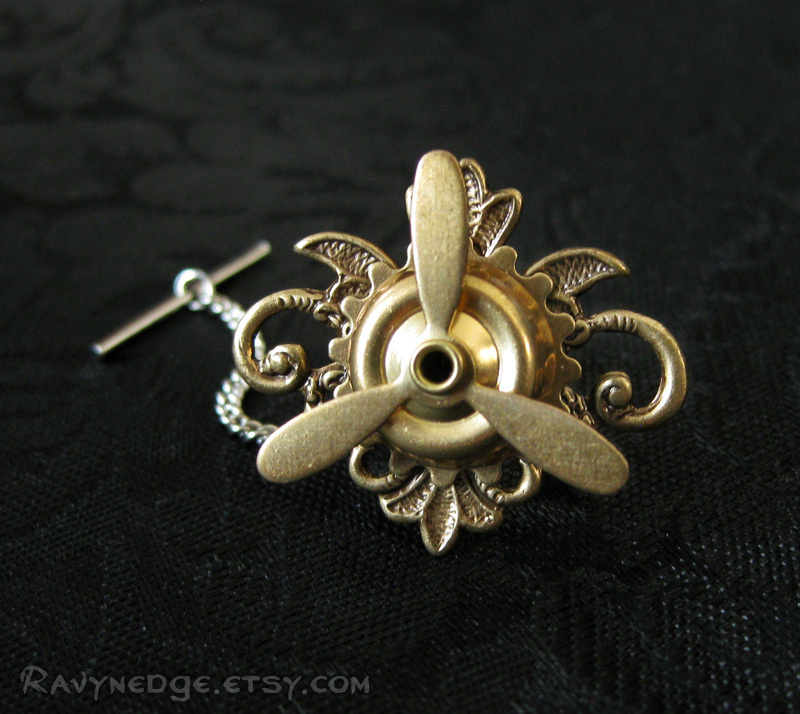 Blaze your own flight path with this whimsical steampunk tie tack. Give the propeller a little spin and watch the heads turn! 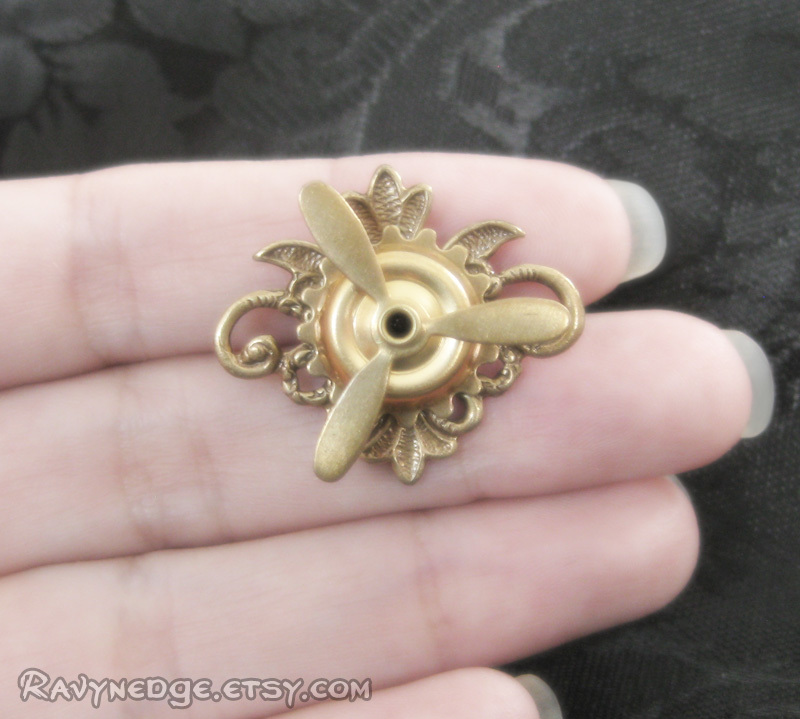 Made with layers of brass filigree stampings. 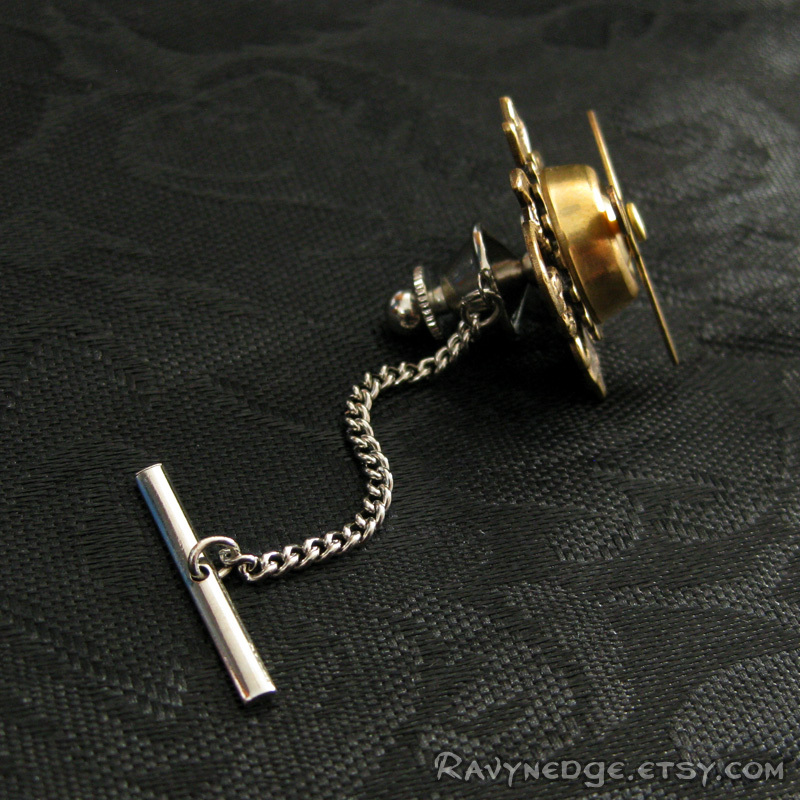 The tie tack pin, chain, and bar are stainless steel. 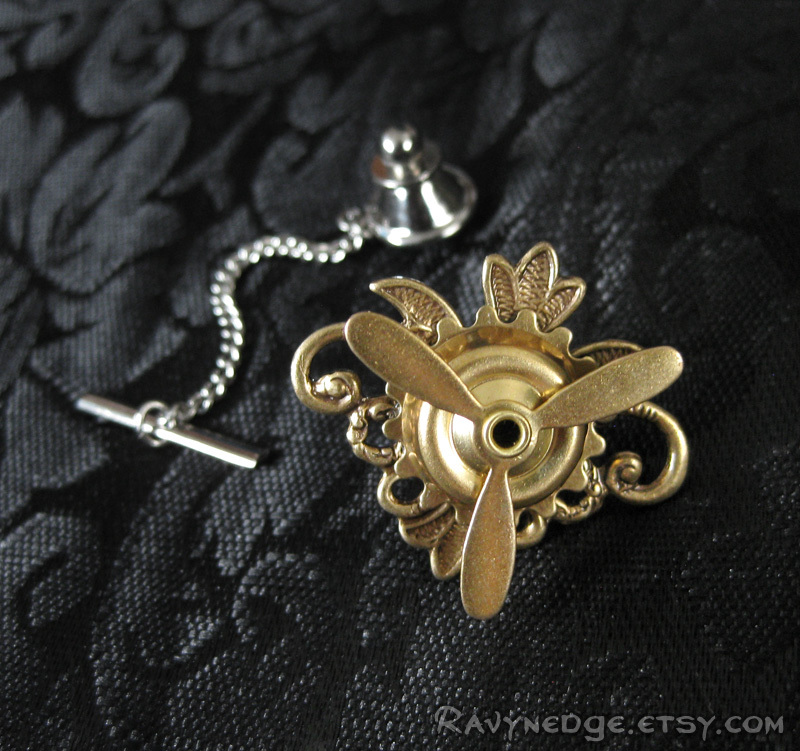 "Flight Path" measures approximately 25mm tall (0.98 inches) and 30mm wide (1.2 inches). Fastens securely with a spring-loaded clutch. Attached to the clutch is a 42mm chain and 20mm bar. Insert the bar into a buttonhole to help keep the tie in place. I can remove the bar and chain if you prefer.